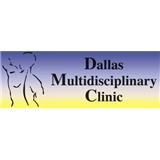 DMC HEALTHCARE (Dallas) - Book Appointment Online! Enjoy our state of the art facility in which you will discover the true wellness lifestyle, relief from pain, and overall good health. We will show you the natural way to better health and we are convinced that after one visit you will see why chiropractic is the safe and effective alternative to back surgery. With car accident and car wreck patients we begin with a thorough examination and assess your areas of concern, as well as carefully consider your health history. We are trained in x-ray techniques and in order to make an accurate diagnosis, may take x-rays of your back and neck. Only after this initial examination will we offer a recommended course of treatment. Based on the analysis of your initial examination, your treatment could consist of chiropractic adjustments, therapies, therapeutic massage, disc decompression, nutritional counseling and rehabilitation.